The Manitoba 4-H Leader’s conference was held on Saturday, October 22 and Sunday, October 23, 2016. 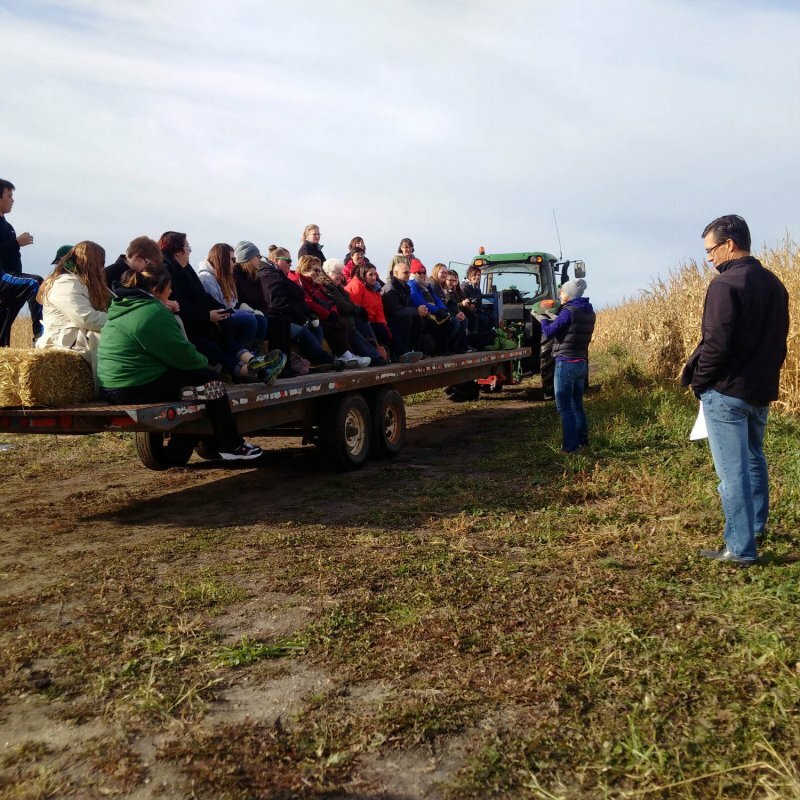 Approximately 40 leaders, of both urban and rural backgrounds, from across Manitoba toured the Manitoba Beef and Forage Initiatives Brookdale research farm on Saturday. This year’s conference theme was environmental sustainability so it was only fitting that the delegates were able to visually see some of the projects that are being carried out on the farm, that are having a positive impact on the environment using forages and livestock. Presentations were made on the extended grazing that is occurring this fall and winter, the summer planned grazing project and the soil carbon sequestration and soil quality and health projects that are taking place. Participants also got to visit the eco buffers in the newly established shelterbelts there as well.